Mateen Ahmed, former MLA from Seelampur, lost for the first time since the inception of the Assembly segment in 1993. While the Congress didn’t expect an outright victory in the 2015 Assembly elections, the party did expect some of its heavyweights to pull through. Being reduced to having no seats in the Assembly, in an election that saw some of its biggest leaders losing their deposit, also marks the end of the Congress’s uninterrupted influence in these segments. Despite being classified as “most likely to win” by the party’s leadership, Ahmed finished third with only 26.31 per cent of vote share. “It’s the mandate of the people, the party has been here since 1993 and people wanted to give another party a chance. In many ways, the loss was necessary for the Congress. Now the party needs to pull up its socks,” he said. Ahmed added that the Congress’s decimation in the capital was also due to Muslim communities supporting AAP. At Ballimaran and Matia Mahal — the two Muslim-dominated constituencies of the walled city — former MLAs Haroon Yusuf and Shoaib Iqbal, respectively, lost their seats after 22 years. Iqbal, who had recently joined the Congress, finished second. Yusuf, on the other hand, finished third with only 13.8 per cent of total votes polled. “There was a wave for AAP, there can be no denying it. People didn’t want a BJP government in Delhi, that much is clear. But they also didn’t think that the Congress could be a viable option to stop the BJP. There is no denying that the Congress has also made mistakes,” Yusuf said. 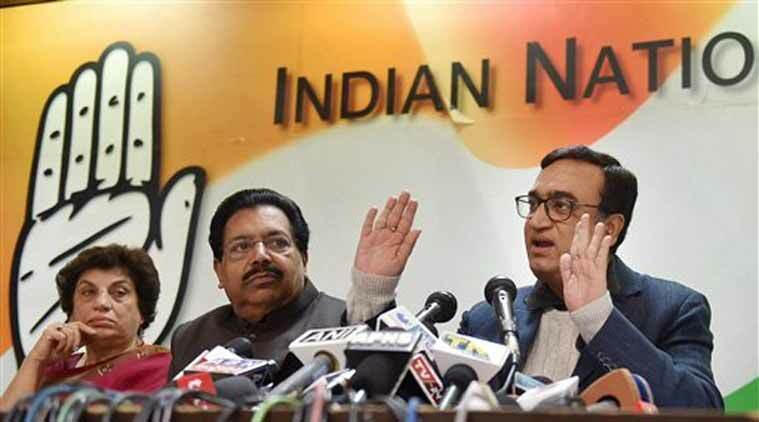 Ajay Maken, who led the Congress campaign for the Delhi polls, lost from Sadar Bazar. “The people of Delhi have decided to give Arvind Kejriwal another chance to keep the promises that he made. The result for the Congress is very disturbing. We will have to look and rebuild,” he said. The Congress had pinned hopes on some leaders winning on individual popularity. “There was anti-incumbency against the party. But we had hoped that individual leaders such as Raj Kumar Chauhan from Mangolpuri and Devender Yadav from Badli who were respected within the community would manage victories. Both finished second,” said a senior AICC leader.